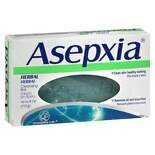 Shop Asepxia Herbal Bar Soap (4 oz. )4 oz. Shop Method Kitchen Handwash Lemongrass (12 oz. )12 oz. $499$4 and 99 cents$0.42 / oz. Daily hygiene is of the utmost importance to remaining in good health and feeling your best. Washing your hands helps to remove germs that could make you sick, and studies have found that using soap when you wash eliminates more germs than simply rinsing your hands with plain water alone. Cleansing your face on a daily basis is also important and reduces the chances of you developing blemishes and skin irritation. There are many types of soaps available on the market that you can choose to include in your daily hygiene routine. Herbal soaps are a natural option and are made from the extracts of plants. Many people prefer herbal soaps because they have sensitivities to chemicals found in traditional soap products or because herbal soaps are more in line with their personal commitments to use more natural products. Soaps that are made from herbs can have different benefits depending on their ingredients. For instance, lavender in herbal soaps may help to calm irritation while lemongrass in formulas may serve as a natural antibacterial (ingredient that fights bacteria). If you have sensitive skin, prefer natural products or are hoping to reap some of the potential benefits of the topical use of essential oils, Walgreens has herbal soap solutions for you. Liquid herbal soap products are very simple to use, as they come in containers with pump tops that dispense soap with just one push. When selecting the right herbal soap for your needs, be sure to read the product descriptions carefully. Some products are intended for use on just the hands while others can be used on the hands and the face as well as the body. For your safety, only use your herbal soap on the areas that are recommended on the packaging. Although herbal soap products are made of natural ingredients, there is a risk of reactions due to skin allergies associated with their use. Symptoms of reactions may include redness, rash, itching, dryness or stinging. If you have a history of skin allergies or very sensitive skin, be sure to consult your doctor before using any herbal soap product. You should also check with your doctor before using herbal soap if you are pregnant or nursing.